Pranic Healing® is a simple yet powerful and effective system of non-touch energy healing originated and developed by GrandMaster Choa Kok Sui. It is based on the fundamental principle that the body is a self-repairing living entity that possesses the innate ability to heal itself. Pranic Healing® works on the principle that the healing process is accelerated by increasing the life force or vital energy on the affected part of the physical body. Pranic Healing® is applied on the bio-electromagnetic field known as the aura, or energy body, which is a mould or blueprint that surrounds and interpenetrates the physical body. This energy body absorbs life energy and distributes it throughout the physical body, to the muscles, organs, glands, etc. The reason Pranic Healing® works on the energy body is that physical ailments first appear as energetic disruptions in the aura before manifesting as problems in the physical body. 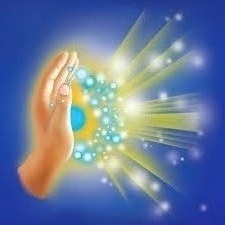 You can learn to perform Pranic Healing® on yourself and your loved ones in these powerful result-oriented workshops. Pranic Healing is a no-touch complementary therapy that utilises energy to help balance, harmonise and transform the body's energy processes. It can help alleviate a wide range of physical, mental and emotional ailments. We are helping in the Macmillan centre in Southampton with great success so far and wish to help as many people as we can in the area that would like to be helped. We will offer sessions at a discounted rate of £20.